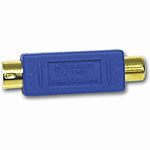 Convert from RCA to S-Video or vice-versa. 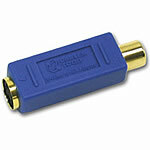 Convert from RCA to S-Video or vice versa. 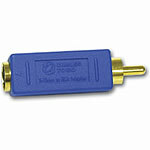 Bi-Directional RCA Male/ S-Video Female Video Adapter. 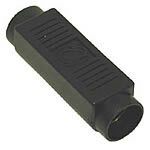 Converts a S-Video 4-pin male to a S-Video 4-pin female; Couples two male cables. Couples two stereo RCA + S-Video interconnects together. 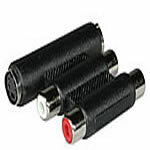 Adapts S-Video jack and two RCA jacks to S-Video and two RCA jacks. Ideal when you need to connect S-Video and Audio patch cables together to extend lengths.